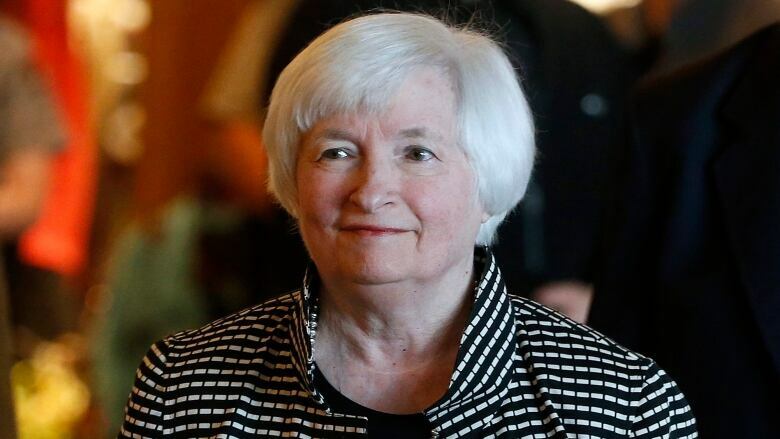 Against a backdrop of strengthening growth but chronically low inflation, Federal Reserve Chair Janet Yellen and other central bankers are taking their measure of the global economy at their annual conference in the shadow of Wyoming's Grand Teton Mountains. With the prospect of new leadership at the Fed within months, investors will be listening for any hint of shifting interest rate plans from the policymakers. The most watched events will come Friday, when Yellen and Mario Draghi, head of the European Central Bank, will each address the conference. Though a surprise announcement can't be ruled out, most analysts expect no major policy changes to be announced by either leader. Still, central bankers going back to Alan Greenspan's appearances in the 1980's have sometimes used the annual conference to send messages to the financial markets. Yellen's predecessor, Ben Bernanke, signalled a new round of Fed bond purchases in 2010 to try to invigorate a weak U.S. recovery. And last year, Yellen let markets know that more rate hikes were coming. The Jackson Hole conference, sponsored by the Federal Reserve Bank of Kansas City, is in its 41st year. The conference occurs as the Fed is in the midst of gradually and modestly raising its benchmark rate to reflect a strengthened U.S. economy. By contrast, the ECB is still buying bonds to keep keeping rates at ultra-low levels but may be preparing to slowly taper its purchases next year. The official theme of this year's conference — "Fostering a Dynamic Global Economy" — is certainly timely. Though the global economy appears more stable than at any other point in the past decade, growth since the 2008-2009 recession has remained sluggish in the United States and most other industrial countries. One consequence is that discontent has grown among groups that feel left behind, having helped fuel Donald Trump's election victory and Britain's vote to exit the European Union. The stated topic of Yellen's speech Friday will be financial stability, which may provide a platform to address concerns that the Fed's ultra-low rates have fueled asset bubbles in the stock market. Many Fed officials, including Yellen, have said in the past that they do not think asset prices have reached dangerous heights. The Fed has raised its key policy rate twice this year, in March and June. It's still signalling that it plans to raise rates a third time before year's end and to begin paring its bond portfolio — a move that could increase rates on mortgages and some other loans. Many analysts say they think the Fed will keep raising rates at only a very gradual pace until it's confident that a recent puzzling slowdown in inflation reflects temporary factors and will reverse course as low unemployment starts boosting wages and spending. Inflation has been running below the Fed's 2 per cent target for five years. Chronically low inflation can depress economic growth because consumers typically delay purchases when they think prices will stay the same or even decline. On Friday, Yellen could offer guidance on what the Fed might announce at its next meeting, Sept. 19-20, about its key short-term rate or about the expected start of its parings of its bond portfolio. Investors will also be listening to what message Draghi — the head of the central bank for the 19 nations that use the euro currency — may send. Three years ago, Draghi signalled in a speech at Jackson Hole that the ECB was preparing to begin buying bonds to keep borrowing rates low and support an anemic European recovery. If not now, then sometime soon, Draghi is expected to signal that the ECB is preparing to start reducing those purchases.